Air Force (AFCAT) is an exam which can give you wings for all of you who have the dream of working between the sprawling jets can turn this dream into reality through this exam. Air Force Common Admission Test (AFCAT) is a written exam conducted by Indian Air Force twice every year to induct officers in the IAF. 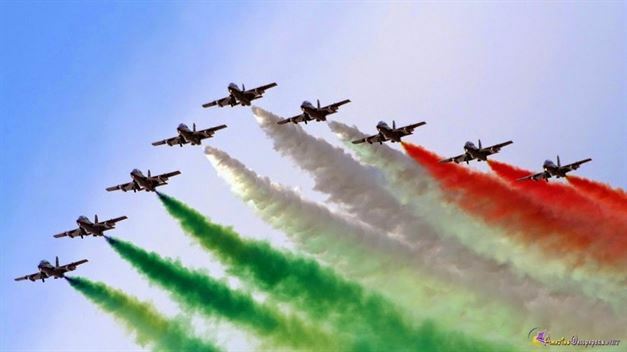 Indian air force invites AFCAT eligibility for men and women as flying officer. Age - 20 to 24 years (at the time of commencement of course).Upper age limit for Candidates holding valid and current Commercial Pilot Licence issued by DGCA (India) is relaxed up to 26 years(at the time of commencement of course). Final Year students are also eligible to apply, provided they do not have any backlog at the time of AFSB Testing and produce Degree certificate issued by the University as per the date stipulated in the advertisement. Advertisement Schedule: Advertisements for AFCAT are released by the IAF in the months of June and December. Physical standard is another parameter of AFCAT eligibility criteria for men and women in flying branch. Any candidate applying for AFCAT or aspiring to become a flying officer in the Indian Air Force should have these below mentioned compliance for the recruitment. For physical requirements in flying branch the minimum height for both men and women should be 162.5 cms with correlated weight. Leg Length should be minimum 99 cms and maximum 120 cms. Thigh Length should be maximum 64 cms. Sitting Height should be minimum 81.5 cms and maximum should be 96 cms. For Vision Minimum Visual Acuity should be 6/6 in one eye and 6/9 in other, correctable to 6/6 only for hypermetropia and Manifest Myopia should be nil. LASIK Surgery for correction of vision is admissible in Transport and Helicopter streams of Short Service Commission (Flying Branch) if the following conditions are fulfilled at the time of Air Force medical examination.